If you’ve read my past posts about sites like ThredUp, then you know my excitement level regarding secondhand clothing! In the past, I never wanted items that were considered “used,” which sounds so silly to me now. If something has been gently used or worn before you, and is washed and clean (and it’s your size! ), then what’s not to love about it?! When it comes to finding secondhand items, the price is my favorite part. I love snagging a good deal. That’s why I need to tell you about Kidizen. (And I have 5 free dollars for you to spend at the end of this post!) I’ve enjoyed my ordering process and my products from Kidizen way too much to not share it with you! 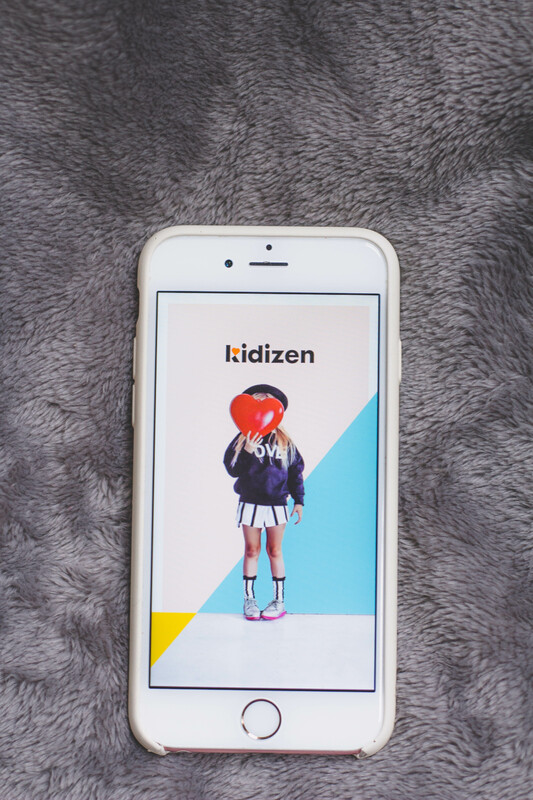 Kidizen is a free app! 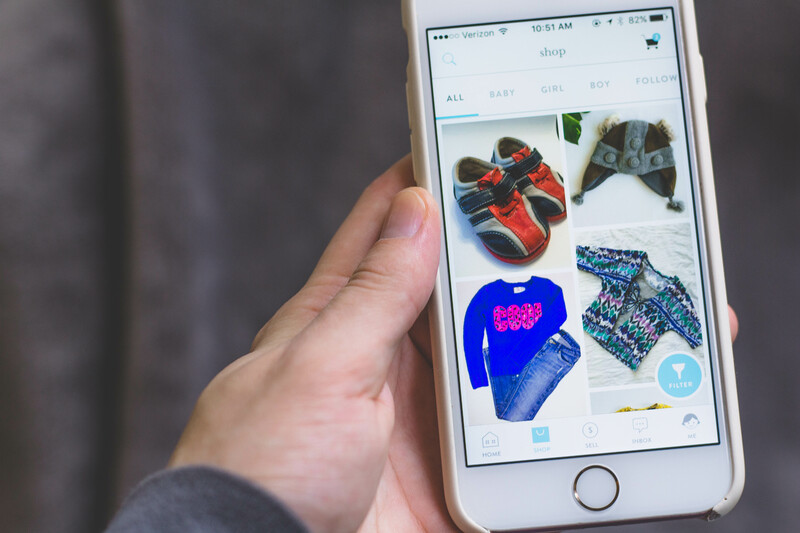 (Before this, I had never shopped using an app before!) 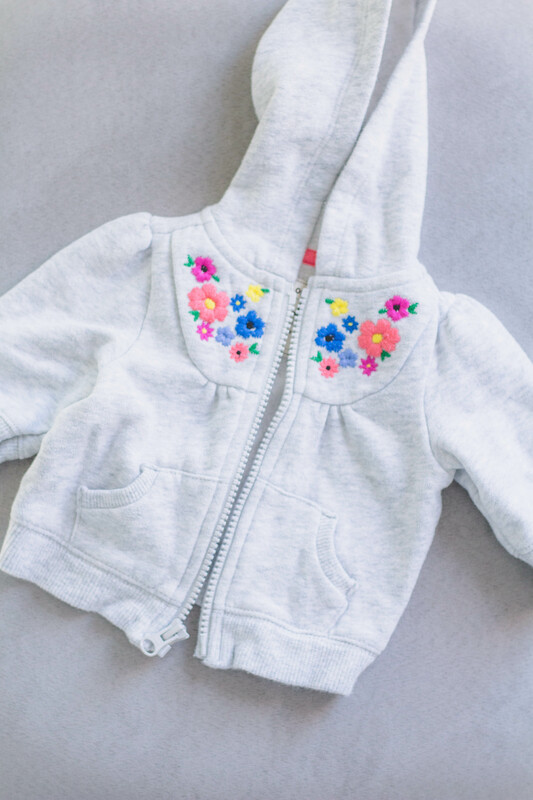 More specifically, it’s a parent-to-parent marketplace where you can buy and sell kids’ clothing as well as toys, books, and other gear. The company was founded by two moms, Mary and Dori, who are passionate about raising kids well and making a difference in the world. It’s a great platform for building community, too. It’s been nice to exchange messages in my account’s inbox with fellow moms and wish them well with their babies, etc. I’ll explain more later on, but Kidizen operates with a lot of great filters so that you can really specify what you’re looking for. For example, I found a Halo baby sleepsack on Kidizen that I had been wanting! 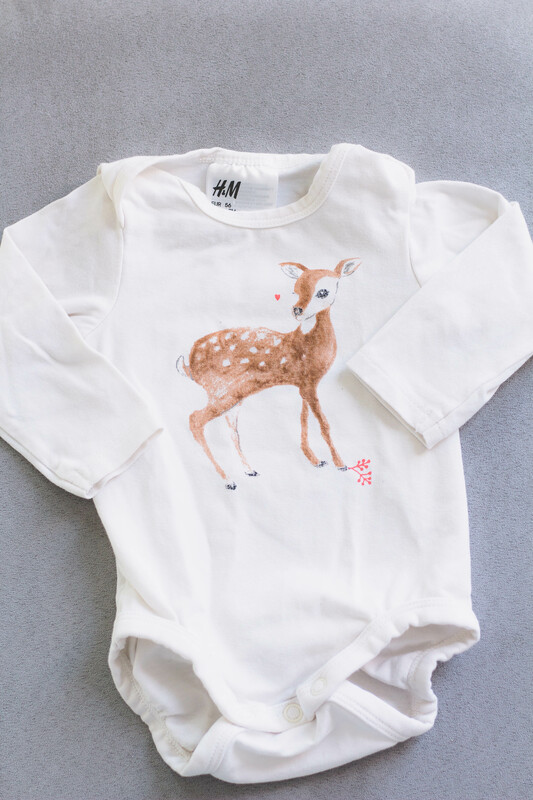 That involved a specific search and I was able to find one in the infant size I wanted! Besides lots of cute clothing, I’ve also been able to search for and find boots for our baby girl, changing pad covers, and a lovey blanket. How Do I Use Kidizen? I’ve personally found Kidizen really easy to navigate. 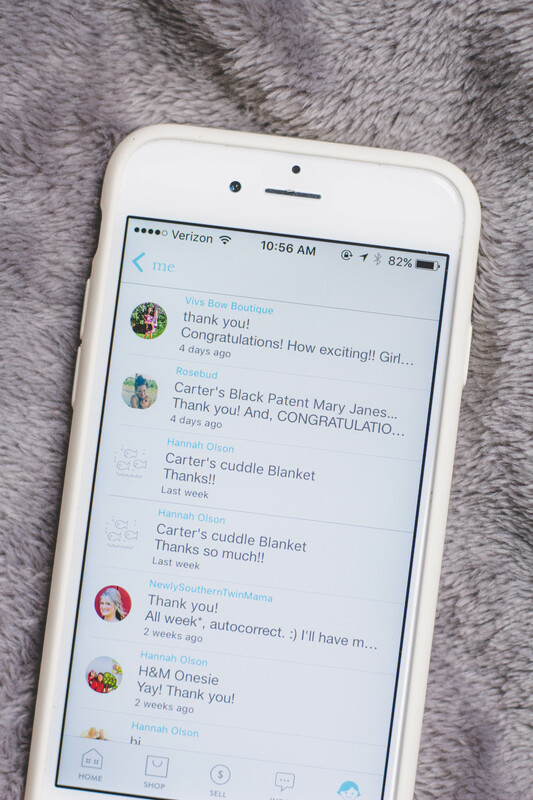 I’ll walk you through the searching/ordering process so you can see how it works! Now you can select a Category (I usually pick clothing, since I’m not currently looking for lots of toys for our baby girl). You can then select the Gender, Size (this is so helpful!! ), Brand (like “Carter’s” if you want), and more. There are more filtering options if you scroll down a bit. I like to use an additional filter further down called “Condition” because then I can select “New With Tag” (see? it’s not ALL secondhand, even! ), “New Without Tag,” “Excellent,” “Very Good,” and so on, down the line. 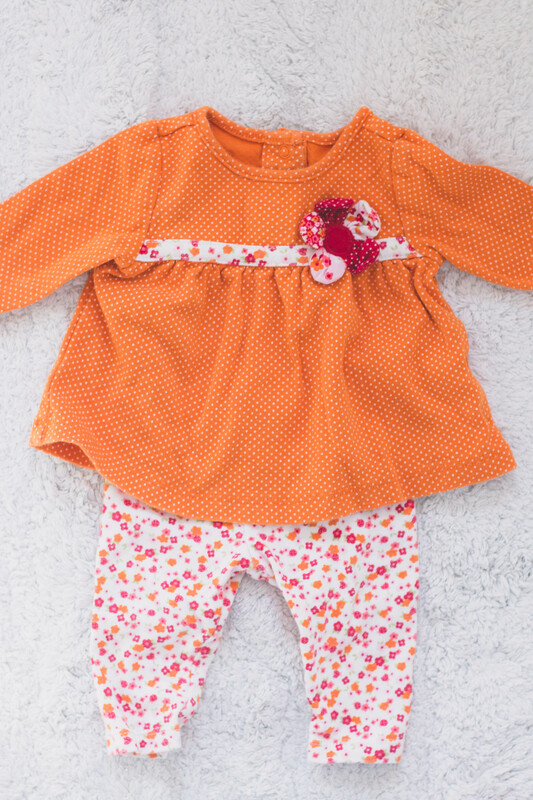 The thing about baby clothes is that so many babies outgrow clothes after wearing them only a couple times (or even before they can wear a certain outfit!) so it’s easy to find some lovely pieces that have barely been worn! The moms listing the items generally let you know in their item description how much they used a particular piece, as well. And you can comment and ask them questions about it. Applying your specific filters really helps narrow down your results to exactly what you’re looking for! You can narrow results even more by using the Search bar at the top to type something in like “hoodie.” In the photo above, I have found a 0-3 month hoodie. This is what your Cart looks like. 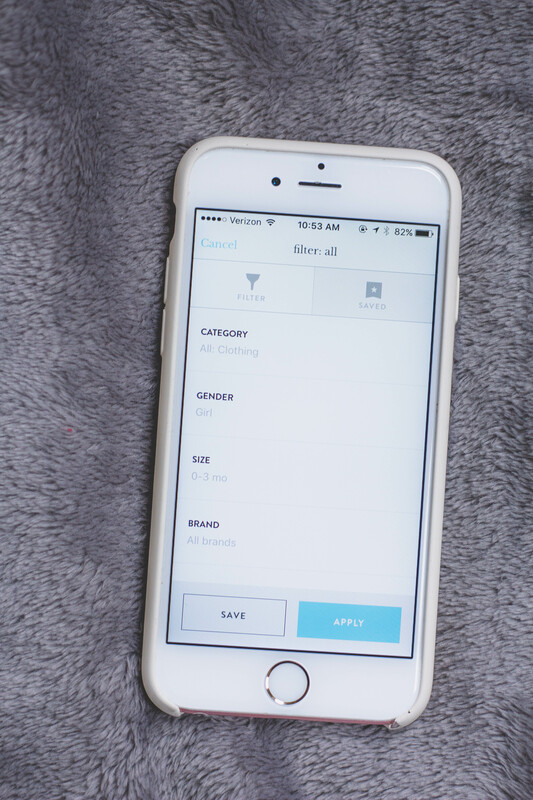 Once your credit card info is saved in the app (which you set up when you sign up with the app), it’s super easy. My screen shows here that I’ve got the Grey Hoodie from the shop called “Luna Star” in my Cart, and all I have to do is select “Proceed to Checkout,” where I just confirm I’m placing the order, and that’s it! ** Shops often have a “Shop Discount,” as you’ll see here. Luna Star is offering a 5% discount, but many shops offer a discount like a 10% discount if you purchase 2 items from them. ** You’ll also see that I have $2.50 being deducted as “Kid Bucks.” Kid Bucks are actually what YOU will get at the end of this post! I have $5 free Kid Bucks for you! That’ll take a good chunk of change out of your total price! 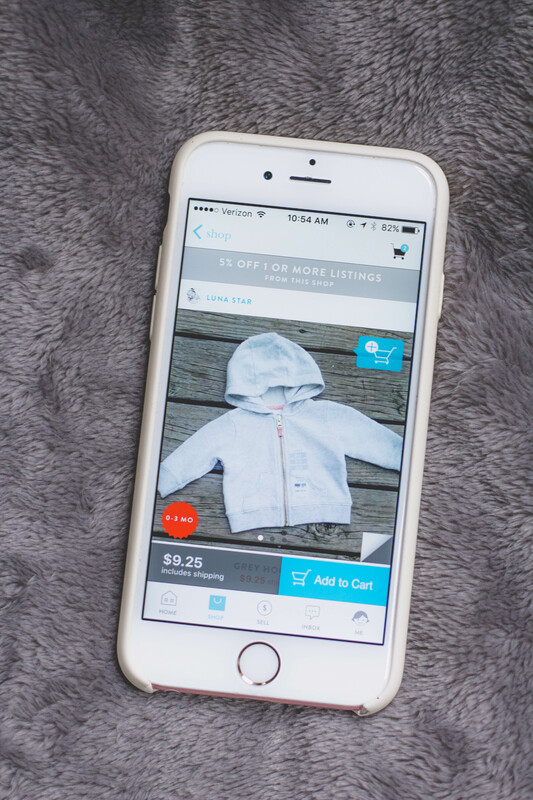 You can earn Kid Bucks through referrals, and they get automatically applied to your purchases. Free $5 For You To Spend! Now it’s time for some free money! 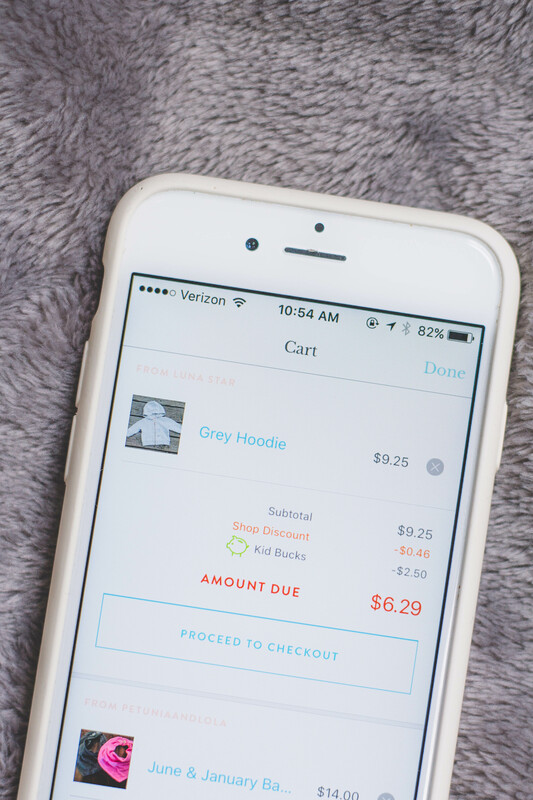 😉 I’m excited to give you $5 to spend at Kidizen! That’ll discount a good portion of your order! Here’s my referral code – sign up with the free Kidizen app using this link, and you’ll get $5 credit on Kidizen! Yay! Enjoy! You can also use the link below, or my invite code: mhf3p.